At Trinity on Hampden, our affordable short-term rental accommodation in Crawley is conveniently located a short distance from the Perth CBD, Cottesloe beach and Kings Park, providing our guests with the perfect location for their stay. With air-conditioned ensuite rooms and picturesque surroundings, Trinity on Hampden’s accommodation in Crawley is perfect for leisure and business travellers. Each of our 30 available guest rooms feature an en-suite bathroom, flat-screen TV, tea and coffee making facilities and much more. Complimentary breakfast, parking and WiFi is also included with each booking. With a wide selection of restaurants, shops and attractions at your doorstep, our accommodation is situated in an ideal location. At Trinity on Hampden, we promise to deliver quality service to every guest, every time. Whether you’re a student, visiting the university, or in Perth for business, look no further than Trinity on Hampden for all your short-term accommodation needs. Our rooms to rent in Crawley are within walking distance from the UWA campus, Swan River, Sir Charles Gairdner and Hollywood Hospital, as well as the local Nedlands café strip. Public transport connections are just across the road, allowing you further easy access to the Perth CBD, as well as neighbouring suburbs. 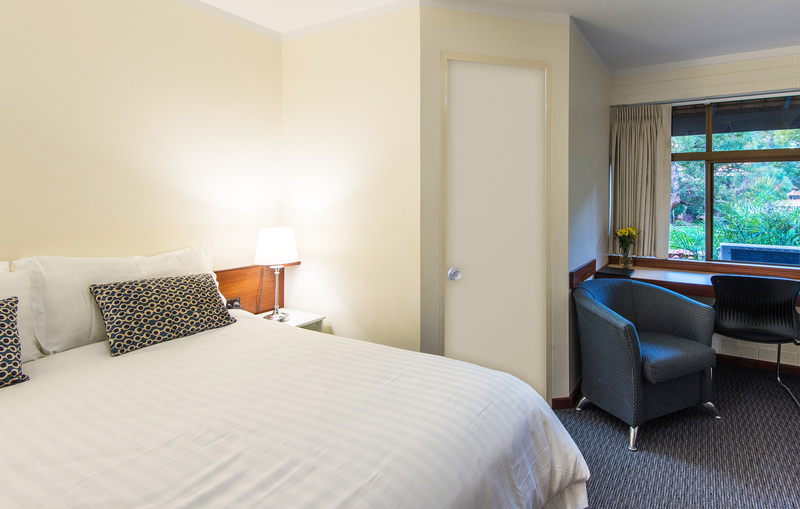 Our accommodation is located amongst scenic views in the heart of the Western suburbs, allowing access to a number of popular eateries and shopping districts close by. 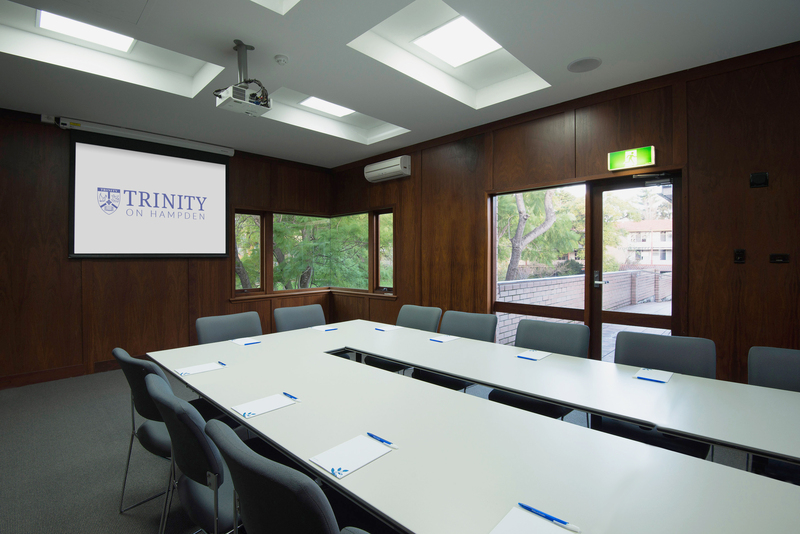 In addition to our accommodation services, Trinity on Hampden can also cater for your next business meeting or event. Our conference centre is the perfect venue for your next seminar, day meeting, conference or workshop. With modern facilities and high-quality catering options, we can work with you to design a program that best suits your needs and requirements. To find out more about our range of conference rooms, click here. For a relaxed environment, boutique landscape gardens and a convenient location, choose our accommodation in Crawley at Trinity on Hampden for your next Perth stay. For all booking enquiries, contact us today.